Roman Republican silver denarius of Antonius Balbus, 83BC (Reece Period 1), Reverse type Victory in Quadriga, holding wreath. Mint of Rome. RRC364/1d. Republican moneyer: Antonius Balbus, Q. 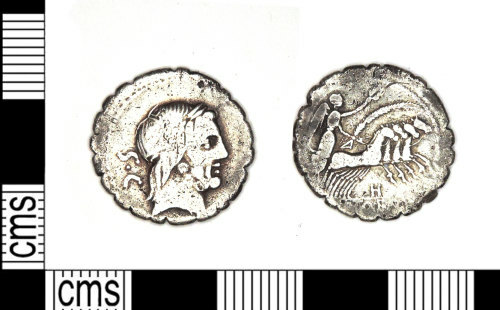 A silver Roman Republican denarius serratus of Q Antonius Balbus (83 - 82 BC), mint of Rome, RRC 364/1a.